LACMA’s seven-building complex is located on twenty acres in the heart of Los Angeles, halfway between the ocean and downtown. The campus is undergoing a ten-year expansion and renovation known as the Transformation and designed by the Renzo Piano Building Workshop. LACMA’s collections encompass the geographic world and virtually the entire history of art. The museum houses a highly significant collection of Islamic art. These widely diverse arts, from an area extending from southern Spain to Central Asia, trace the distinctive visual imagination of Islamic artists over a period of fourteen hundred years. The collection consists of over 1,700 works, of which some 150 examples are on view; these include glazed ceramics, inlaid metalwork, enameled glass, carved wood and stone, and manuscript illustration, illumination, and calligraphy. Particular strengths of the collection are glazed pottery and tiles from Iran and Turkey; glass, especially from the late seventh to the mid-thirteenth century; and Persian and Turkish arts of the book. The museum began to concentrate seriously on Islamic art in 1973, with the acquisition of the Nasli M. Heeramaneck Collection, the generous gift of Joan Palevsky. Although the Heeramaneck collection forms the nucleus of the Islamic holdings, the focus and scope of the collection have developed considerably since 1973. Two important additions, both gifts, occurred in the 1980s. In 1985 the noted collector Edwin Binney, 3rd, bequeathed more than one hundred works, in particular examples of the arts of the book and ceramics of the Ottoman period. 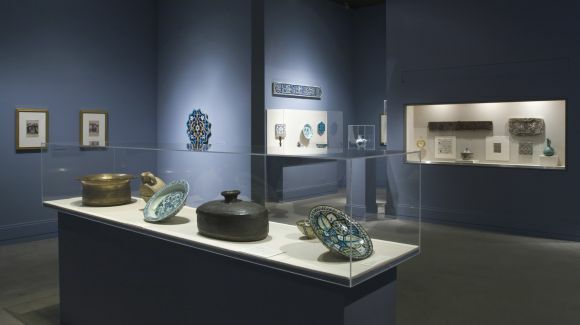 Approximately fifty glass objects, primarily of the early Islamic period, from Hans and Varya Cohn's splendid collection were given to the museum in 1988. The collection has been augmented further over the past two decades through gift and purchase, most notably the acquisition in 2002 of the Madina Collection of Islamic Art, made possible in large part by a generous gift from longtime LACMA benefactor and Trustee Camilla Chandler Frost. 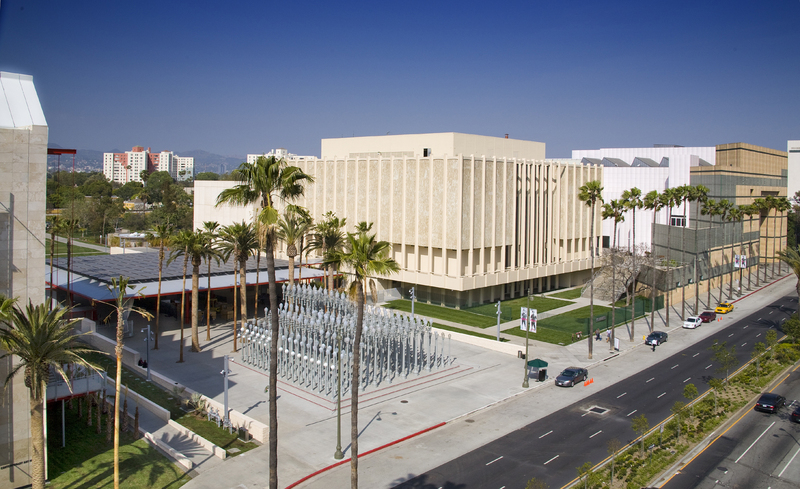 Its addition has created a new international focus on Los Angeles and on LACMA.